For our wedding, I used a company called Little Borrowed Dress (now Union Station) that I highly recommend. 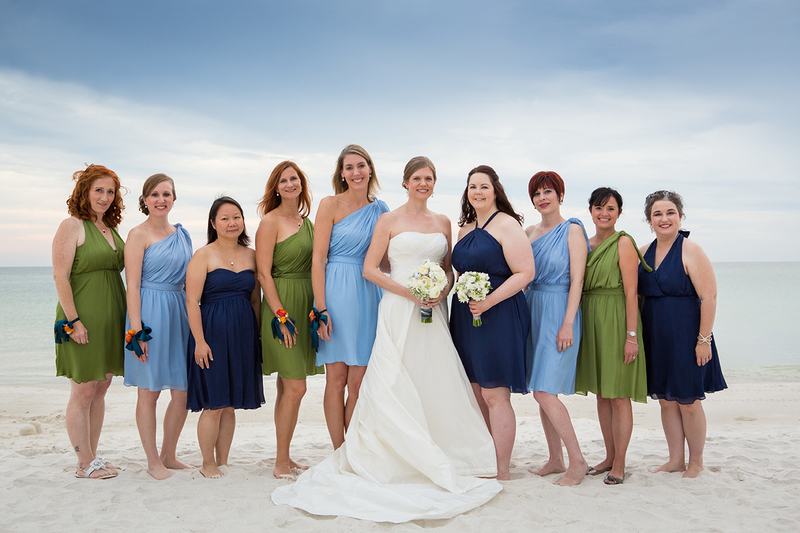 Instead of purchasing an expensive dress to wear once, most of the women who participated in our wedding rented a dress. I chose three colors and let them pick a style. 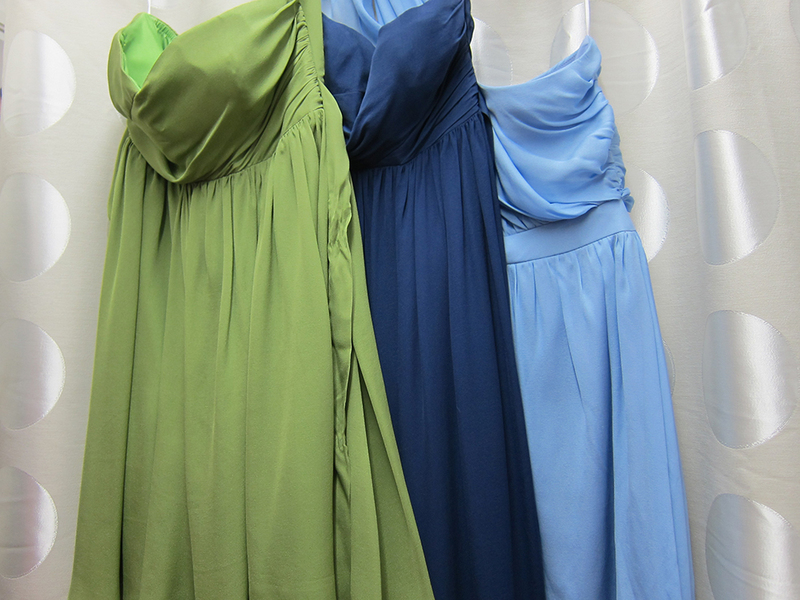 Little Borrowed Dress sent them two sizes, they wore one, then returned both in pre-paid packaging after the wedding. That’s it, they didn’t even have to clean them. The company recently rebranded as “Union Station.” In addition to the bridesmaids’ dresses for rent (and sale), they offer ties, pocket squares and knot cuffs in coordinating colors for groomsmen to purchase. Check them out at www.unionstation.com!